Where has this term gone? In a flurry of winter sport, the boarders’ ball, Year 11 dinner dance and self-defense classes, it seems that our girls have indeed kept active and busy. 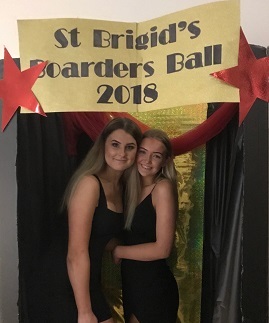 I’d like to commend all the girls for the mature manner in which they conducted themselves at both the boarders’ ball and the Year 11 dinner dance. Not only did much of the planning and organisation of these events result from the girls efforts, they also behaved impressively and looked beautiful. The winter sport season, despite leaving in its wake a few injuries and numerous aches and pains, was very successful with many girls taking part in netball, soccer, hockey and football. 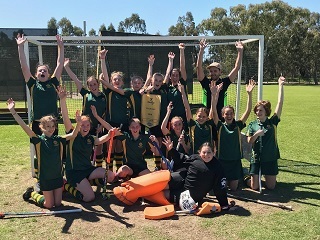 In particular, our Year 7/8 hockey team performed fantastically to win their grand final. I sincerely thank all the parents who made the time to come to Perth to support the girls during the season. 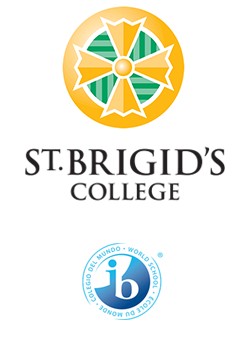 Our Year 10 boarders have had a very hectic couple of weeks. 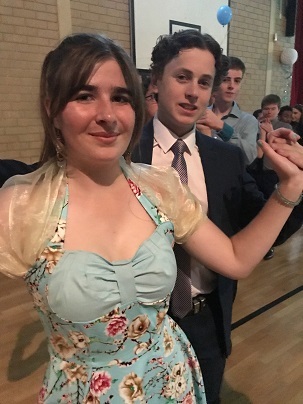 Dance lessons culminated in the Year 10 formal and the Year10 Personal Project Exhibition opening allowed us the opportunity to congratulate the girls on some outstanding products which showed a fabulous commitment to excellence. 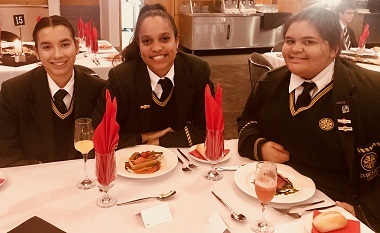 I was fortunate last Thursday to attend the graduation dinner for Year 12 boarders, Jayda Baron, Gertie O’Meara and Tian Brahim. 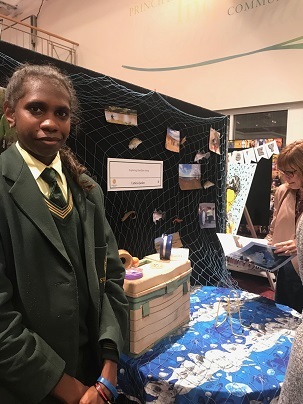 Organised by Future Footprints for our Year 12 Aboriginal students and held at Aquinas College, the evening was certainly very special. I was thrilled that Tian was awarded a $2000 Curtin University Scholarship and Gertie the Future Footprints Camp Leadership Award. On Tuesday 11th September we held our 2019 Boarding Leadership speeches. Whilst it was disappointing that only 4 girls applied, I was impressed with their speeches and am delighted to announce Emily Doncon as Head Boarder, Charny Foxtrot as Deputy and Hazel Garrett and Zoe Lethlean as Boarding Councillors. I also thank the outgoing Boarding Council for their efforts throughout the year. Just a quick reminder that the girls will need to have their full winter uniform available on Monday 22 October as we will all be attending the College’s Presentation Night at the Perth Concert Hall. Boarding will transport girls not attending with parents. I wish you all a restful holiday break and some quality time with your daughters. I will be away overseas in Japan from Friday 22nd September until Thursday 4th October and ask that you use email as the best form of contact during this time. I apologise in advance if it takes me a little longer than usual to get back to you. As always, your support of our boarding community is greatly appreciated.